Get ready for a full-filled year, as the year of the monkey is sure to bring some excitement. 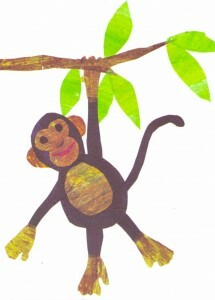 Monkeys are clever, witty, creative and competitive and achieve what they set out to accomplish. This is the year of the FIRE Monkey, which brings a spark of motivation for us all. With our heads screwed on correctly, we are bound for a year of endless possibility. Take a risk with guts and devotion and your wildest dreams just may come true. During the year of the monkey, beware of trickery and don’t act too impetuously. Be true to your heart, be the best you can be, and pay attention along your way. Wishing you and yours a happy and healthy Chinese New Year!